Sports Tears in Our Beers: Dodgers 3rd Base coach Tim Wallach to be put on I.R. 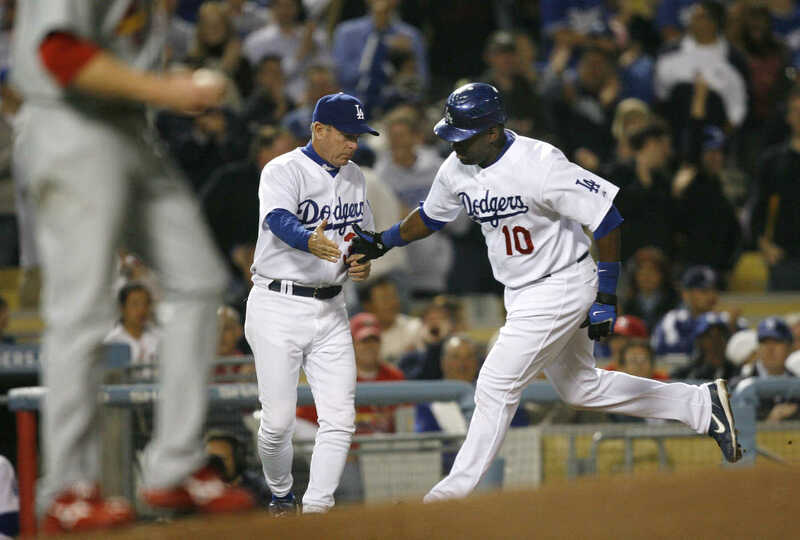 Dodgers 3rd Base coach Tim Wallach to be put on I.R. There are rumors that the LA Dodgers will put third base coach Tim Wallach on the injured reserved list later this afternoon. Tim was complaining after the 15-0 victory over the Minnesota Twins last night, that his arm was incredebliy sore. Dodgers offials went back and reviewed game tape and concluded that the cause of injury was the continues wave around motion he displayed over the nine inning game. It is unclear on when Tim Wallach will be back on field, however he says he remains optimistic and hopes to return after the Twins series.